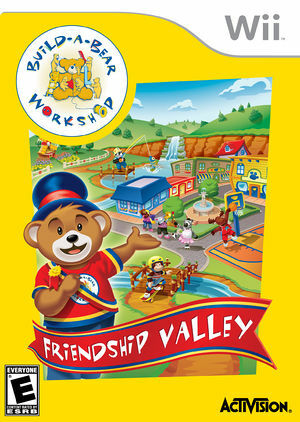 In Build-A-Bear Workshop: Friendship Valley players can help make the town an even more "pawsome" place! Players choose from 13 characters as their new special friend and decorate their Cub Condo. Players can participate in a variety of mini games to win medals and meet new friends. The graph below charts the compatibility with Build-A-Bear Workshop: Friendship Valley since Dolphin's 2.0 release, listing revisions only where a compatibility change occurred. This page was last edited on 18 January 2018, at 00:32.